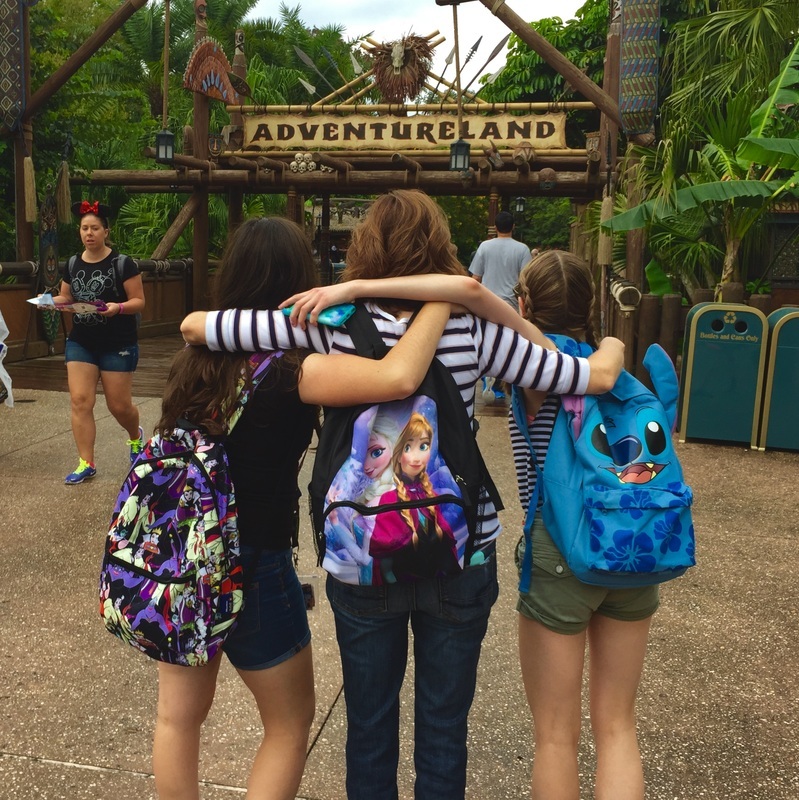 Want to learn more about Disney destinations, promotions and offers? 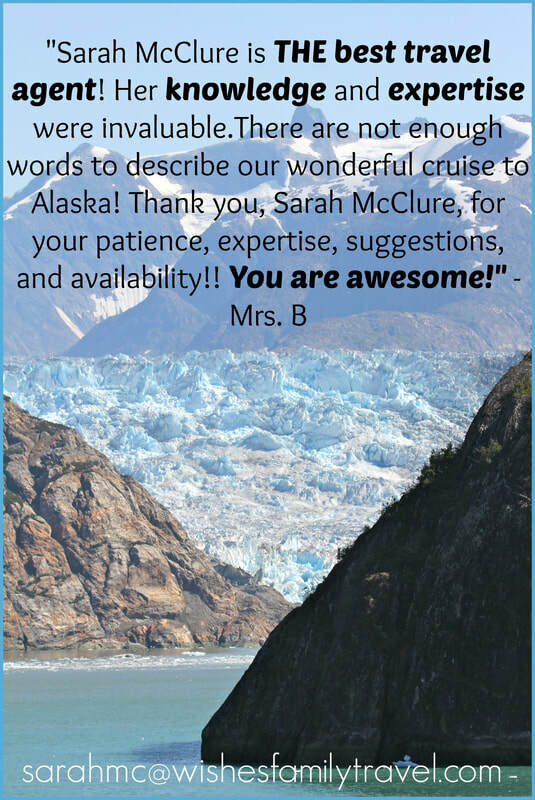 "Sarah was extremely helpful! She always responded in a professional, courteous & timely manner. She surpassed all of our expectations. 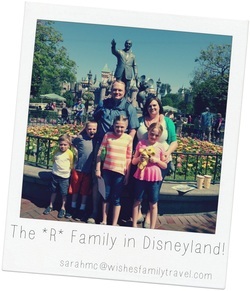 I had the great pleasure of meeting the *I* family in Disneyland. 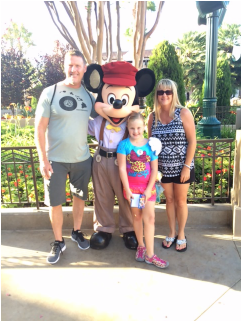 It was wonderful that our paths crossed and we were able to share a few moments in the Happiest Place on Earth! 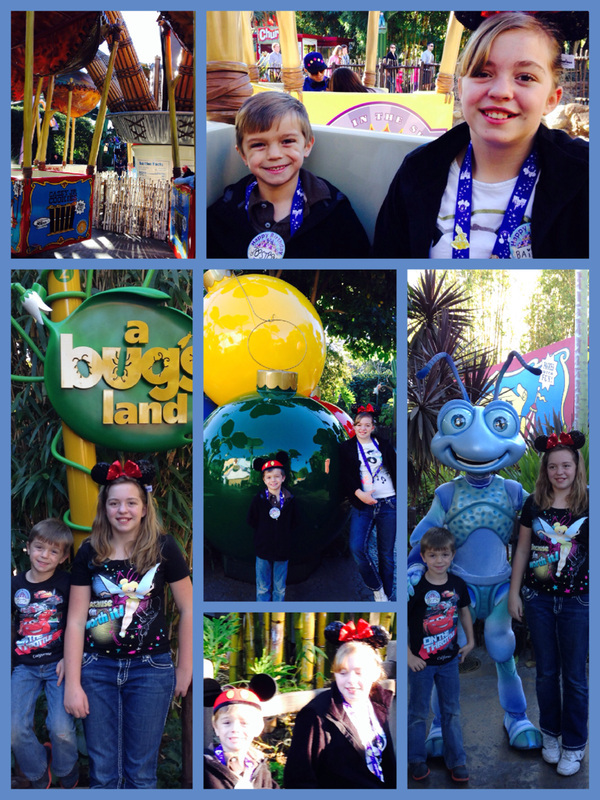 "We had the best trip to Disneyland! Sarah was such a pleasure to work with. She responded quickly to any questions that arose before and even on our trip! We enjoyed all the fun tips and tricks to help aid in our planning. So much of travel is the wait leading up to the actual trip. The emails Sarah sent were great at helping build the excitement. 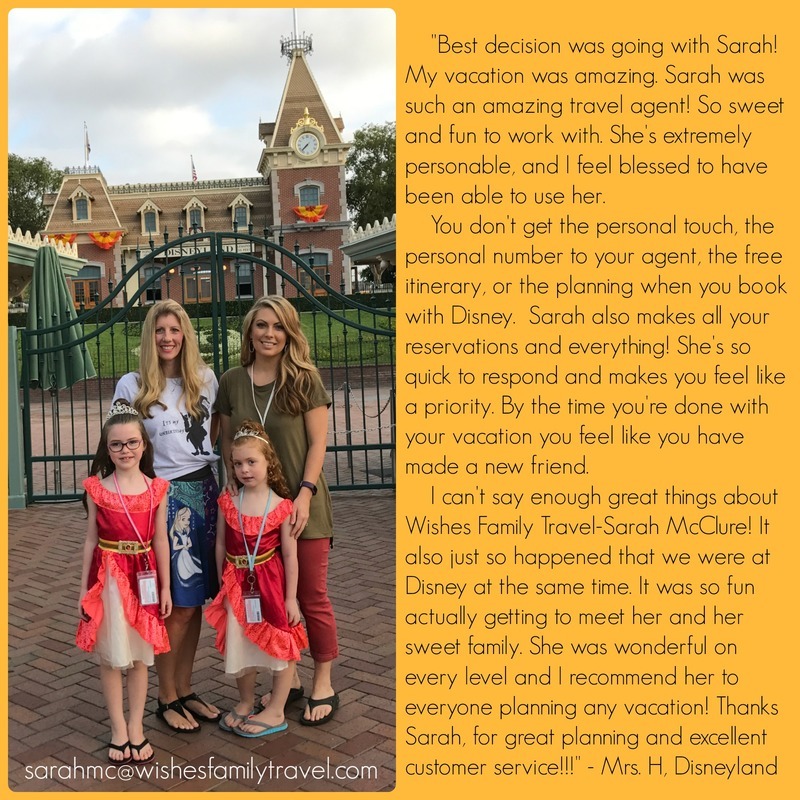 We would love to work with Sarah again to book another Disney vacation!" 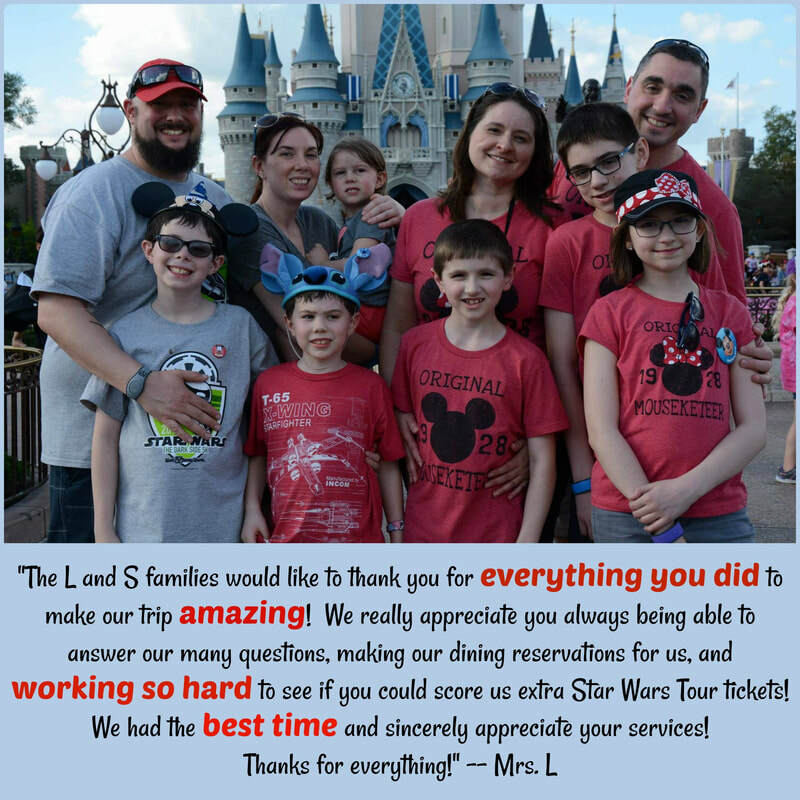 Words can not express how thankful I am for the help you provided us in planning this amazing Disneyland vacation. 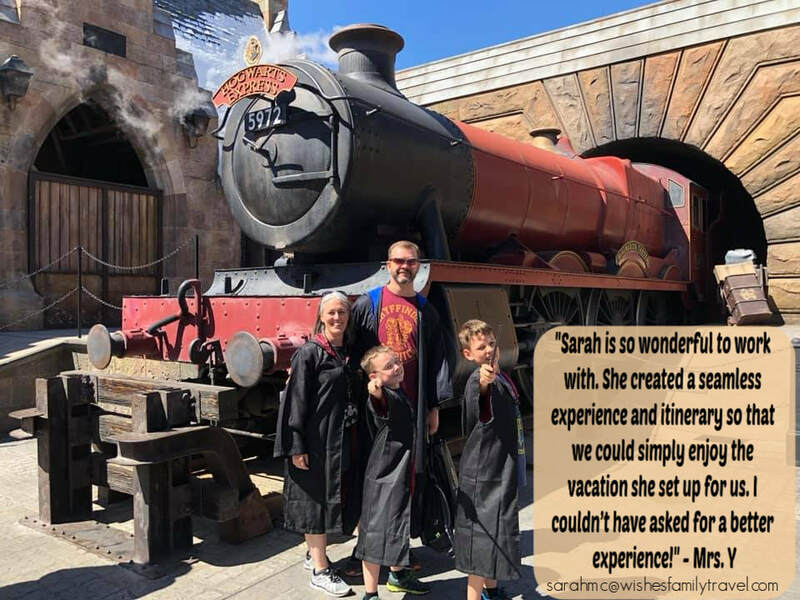 My family and I had such a magical time and we were able to do a lot of the things that you suggested on our itinerary, which by the way it was fantastic. I so appreciate how friendly, knowledgeable and organized you are, all these wonderful qualities you posses helps so much in enjoying the planning stages of the vacation, and helped build up that wonderful anticipation for an amazing and unforgettable family time. 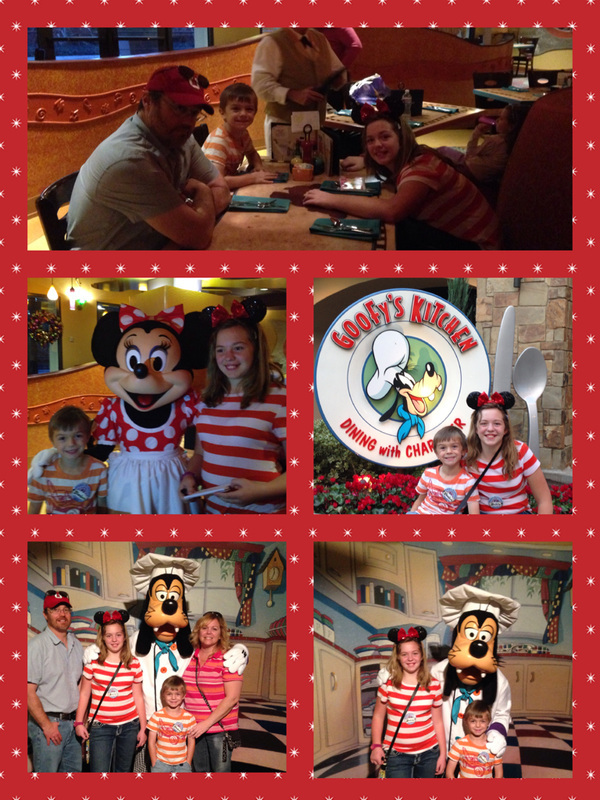 Here are some of our pictures that shows how much fun we had on our vacation. 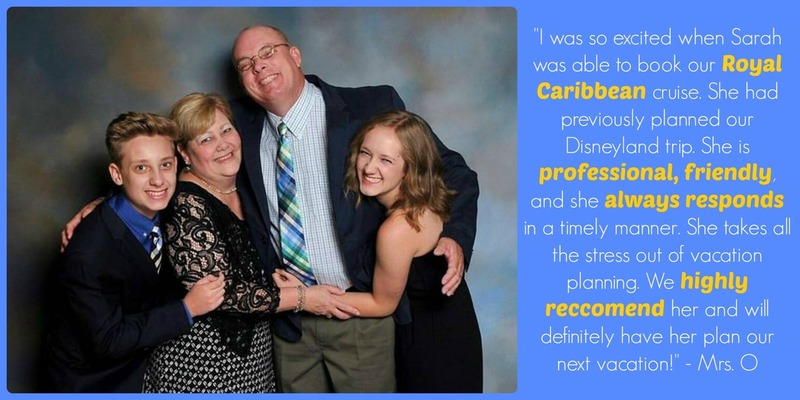 Thanks again for all your help and I can't wait to start working with you on another wonderful Disney family vacation. You are AMAZING!!! "I have to tell you about the best Concierge Service we've ever experienced. (Even better than the Mercedes Concierge I had before "mommy life", and let me tell you, that was goooooood)! My family and I took our first Disneyland trip! I'm not sure who was more excited, me or the kids! 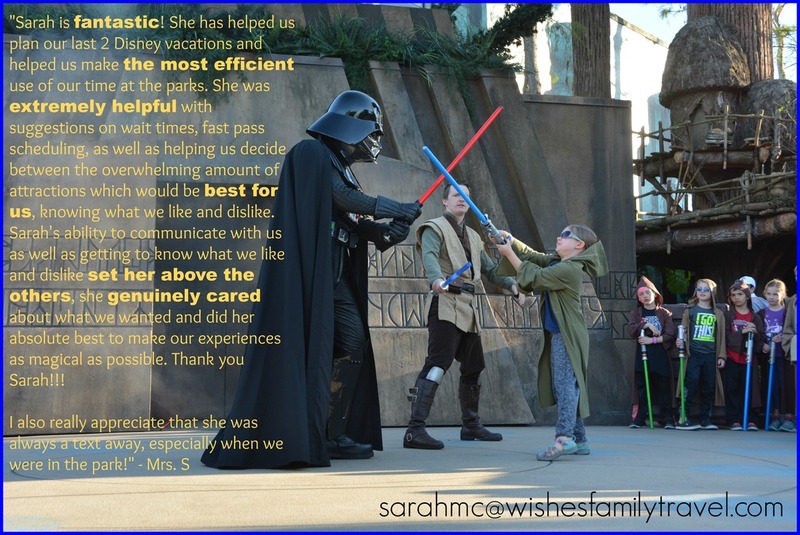 I've been in touch with Sarah, a Disney Concierge, from Wishes Family Travel. I got the best deals and there's no fee for all the extra perks!! She has been so awesome! 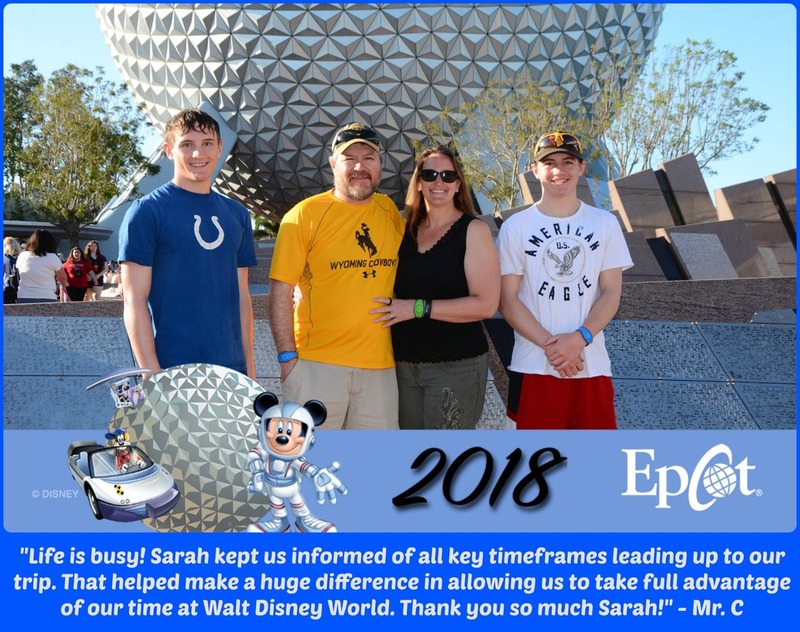 She helped us get a special needs pass for our little Davis, she got us shuttle passes to and from Disney and our hotel--got us the 4th night free at the hotel!! Booked an early Magic Morning for our family. 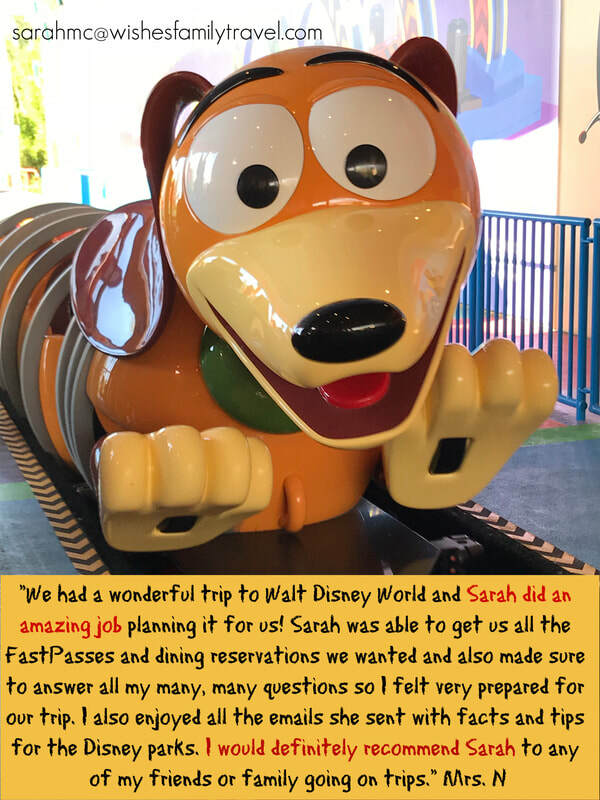 Sent us our park hopper tickets so we don't have to wait in line.... Then she sent us Disney tags for our luggage, got us a free photo memory picture from the park, and a 25.00 gift card from her to use in the park! She even told us how to get a FREE Disney button souvenir for each of us! Then she put together an itinerary with places to eat, show times, parade times and more--totally unexpected and AWESOME! She let me brainstorm with her time and time again on the benefits of taking Davis, not taking Davis, taking Davis and not taking Davis.....she feels like my best friend! She told me about apps, parent swap, FastPass and all the tricks. Her favorite treat is the mickey mouse icecream popcycle. 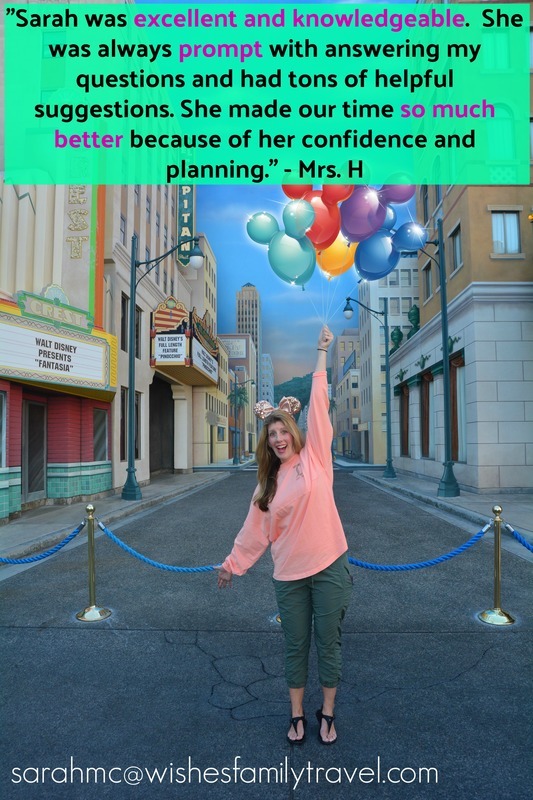 She sent me tons of games and ideas of things to do in line, a whole list of "Secrets of Disney", Disney restaurants, a Disney scavenger hunt....so many fun things that I never knew about (and I grew up 45 minutes from Disneyland). Sarah knows her stuff!! I'm totally thrilled! For sure, email Sarah--NOW! 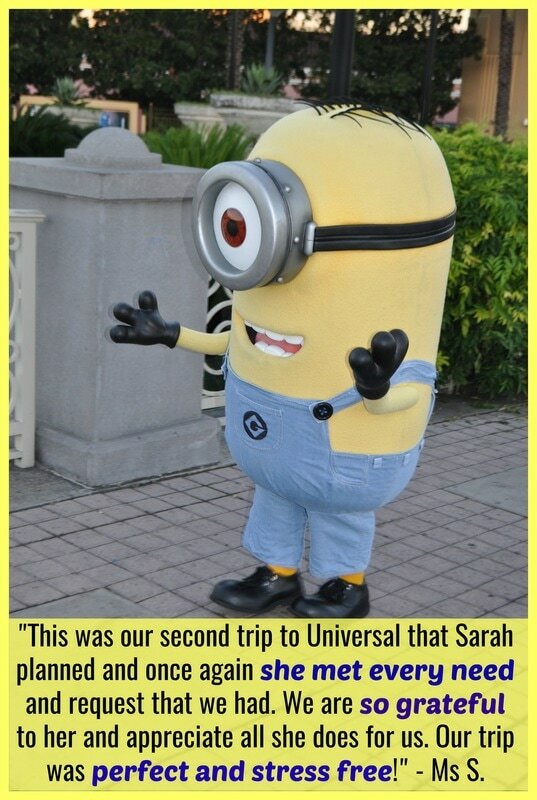 Sarah, we had the Best time together as a family, thank you so much for helping us get there, enjoyed All of it!!!" 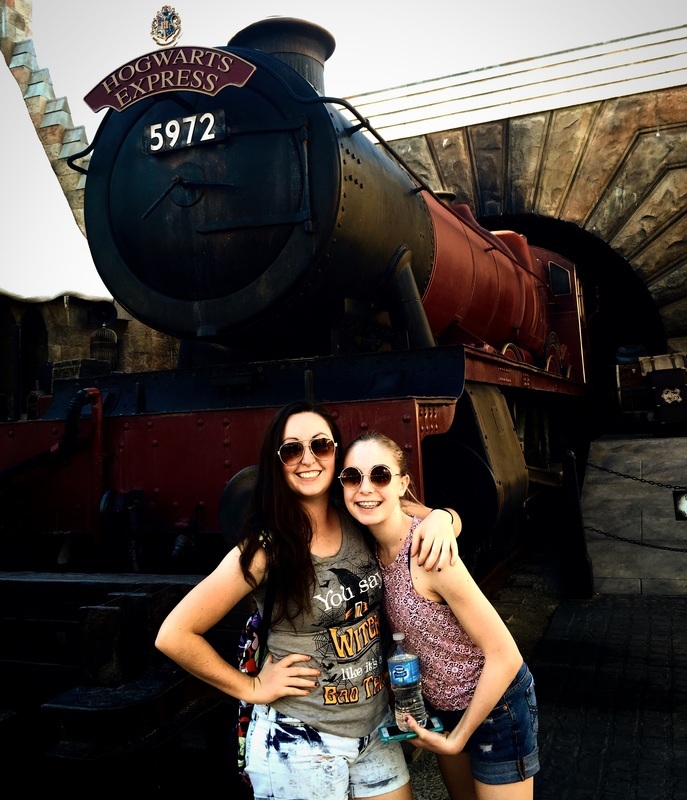 “Sarah excelled at coordinating our most ambitious Florida trip ever! 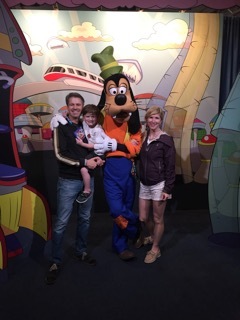 Our family loves Disney and thought that we were experts after vacationing at Disneyland and Disney World a total of 8 times in the last 15 years. 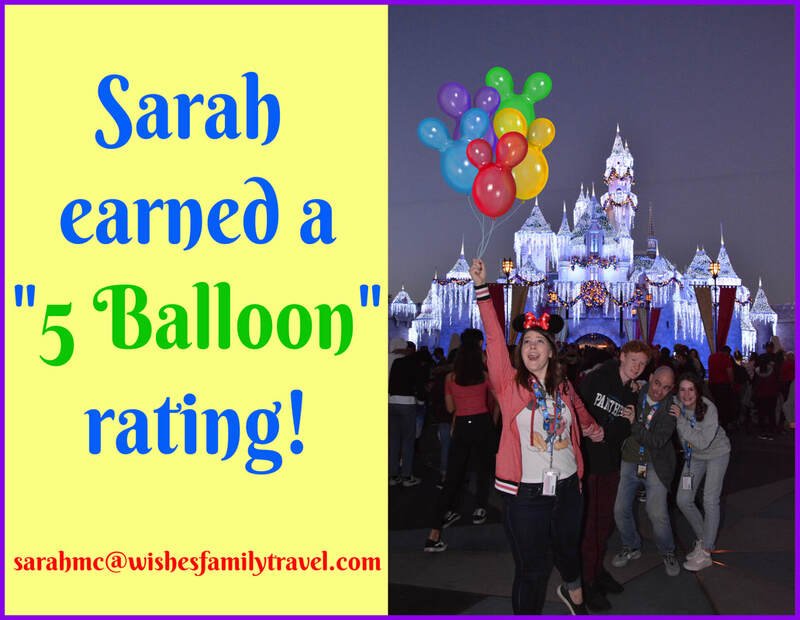 We were astonished at the expertise and ready help that Sarah had to offer. 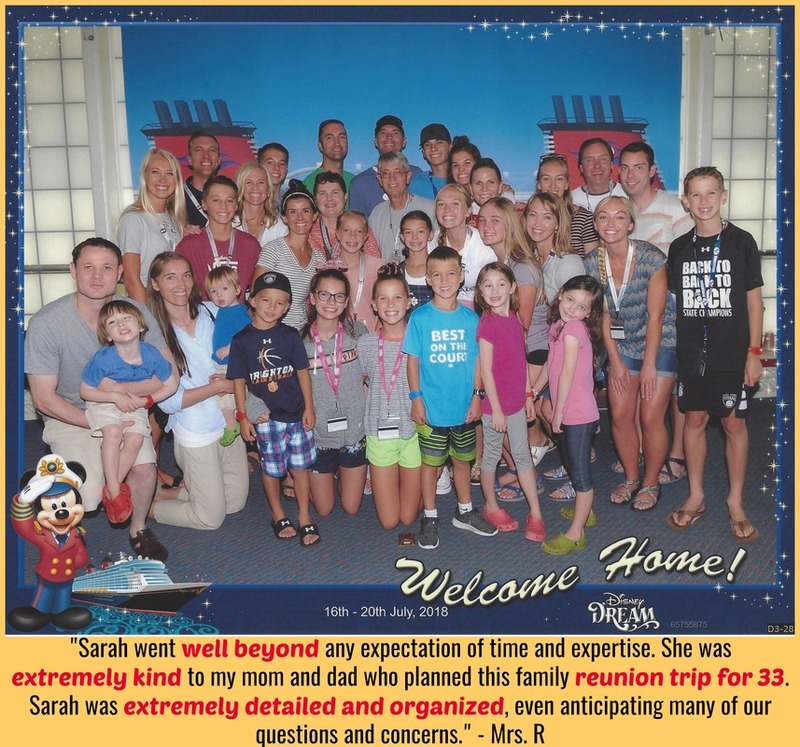 For the first time our family cruised with Disney on the Disney Dream, and Sarah walked us through every stage of the planning process. 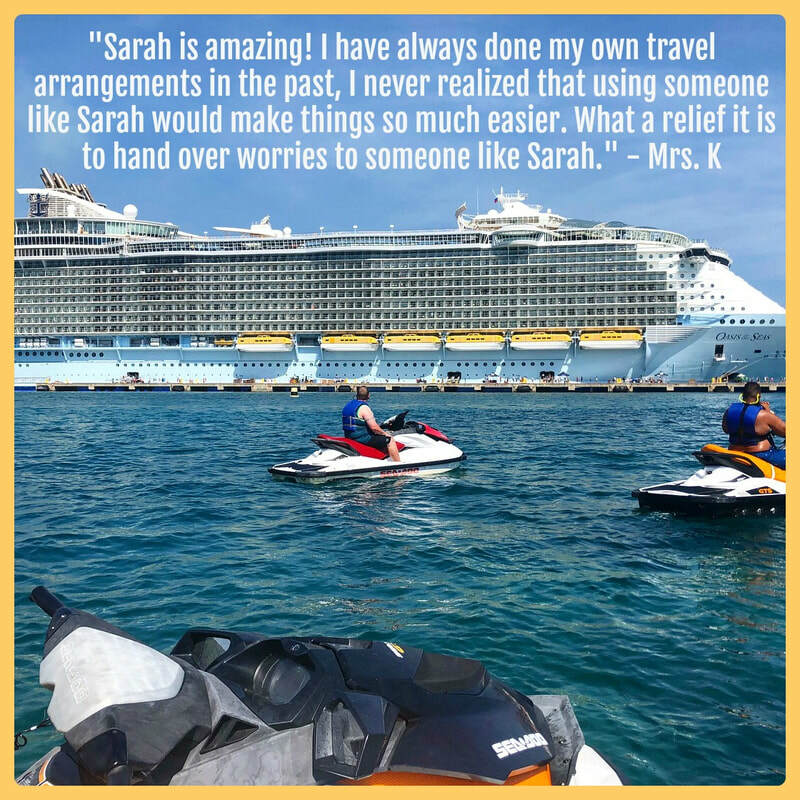 Sarah deftly navigated the needs of an extended family vacation with three cabins and three families. Her suggestions about room choices, dining arrangements, character visits, and memorable souvenirs were perfect. My kids had the time of their lives on the cruise! Truly, everything exceeded our expectations. 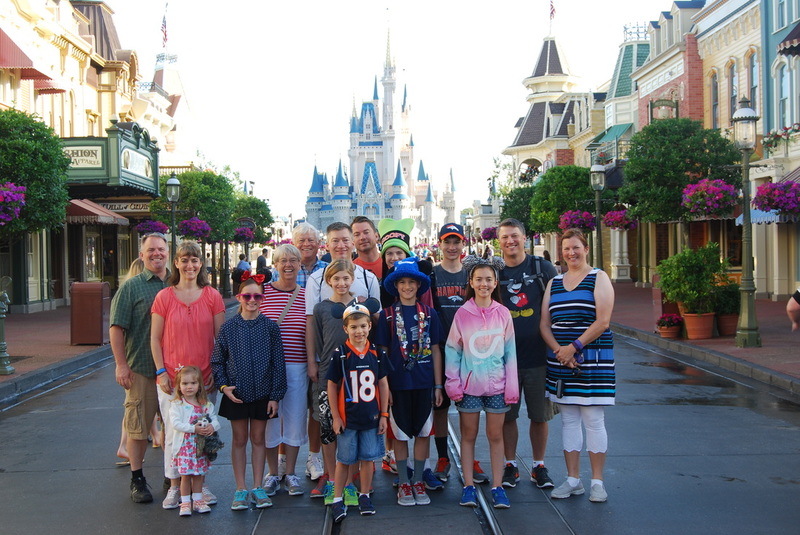 In addition, we started our family vacation with a quick day at Universal Studios and then ended with 5 days at the Wilderness Lodge in Disney World. 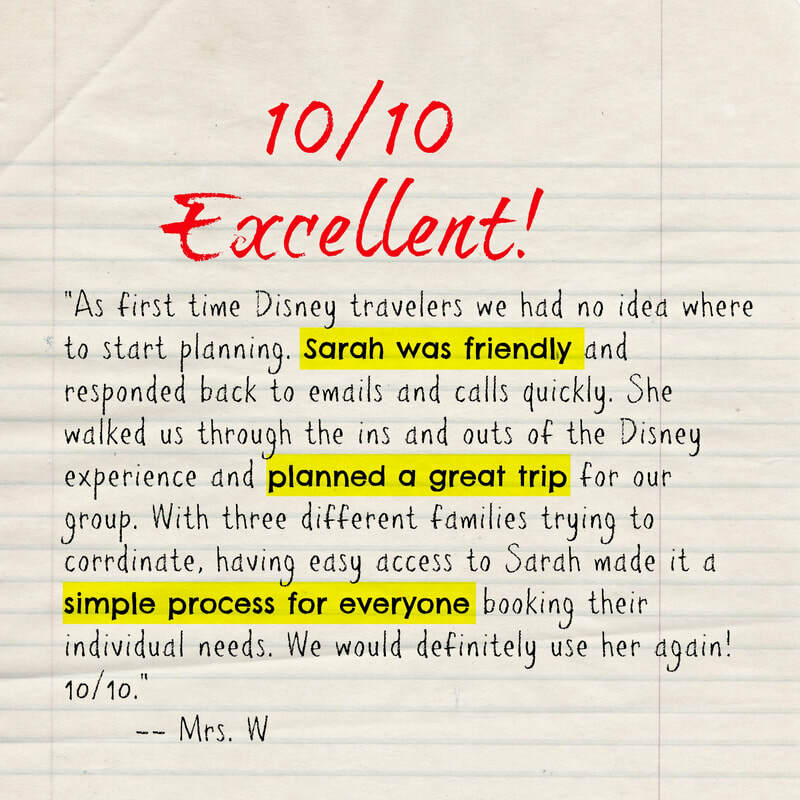 Sarah was always very detail oriented and responded quickly to all three families’ requests. Coordinating everything from accommodations to tickets and transportation, Sarah was right on with timing and transfers from each different activity. I especially appreciated her up to the minute knowledge about changes occurring with Fast Passes, Magic Bands, new ride openings, and more. "Thank you very much for all your help putting together our Disney vacation! We had an excellent time together as a family! Sarah was absolutely amazing to work with. We would highly recommend her to others and will work with her in the future." 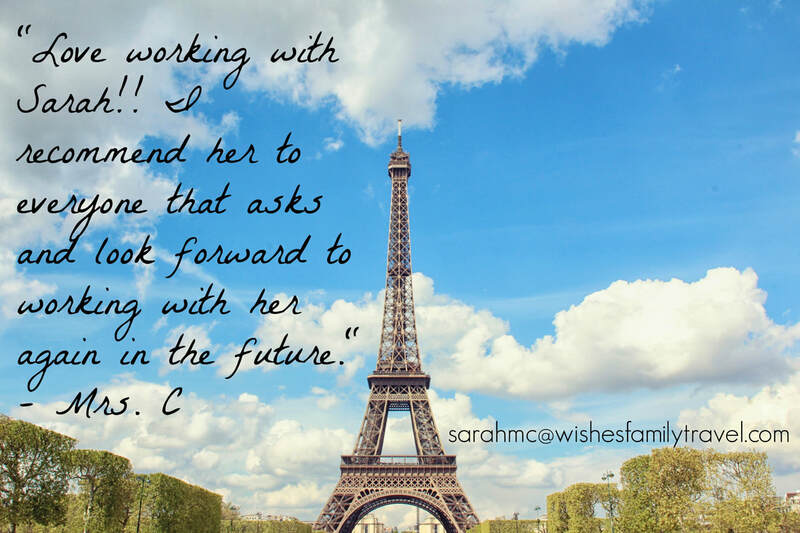 -- Ms. A.C.
"Sarah was very helpful and we loved working with her! Thanks again for everything that you did for us, we had such a great time! 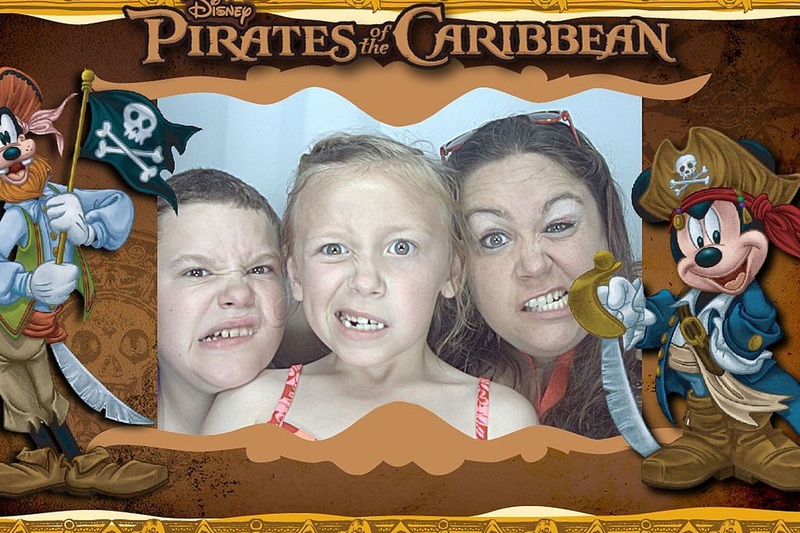 :)"
The *P* family had a WONDER-ful time on Disney Wonder! 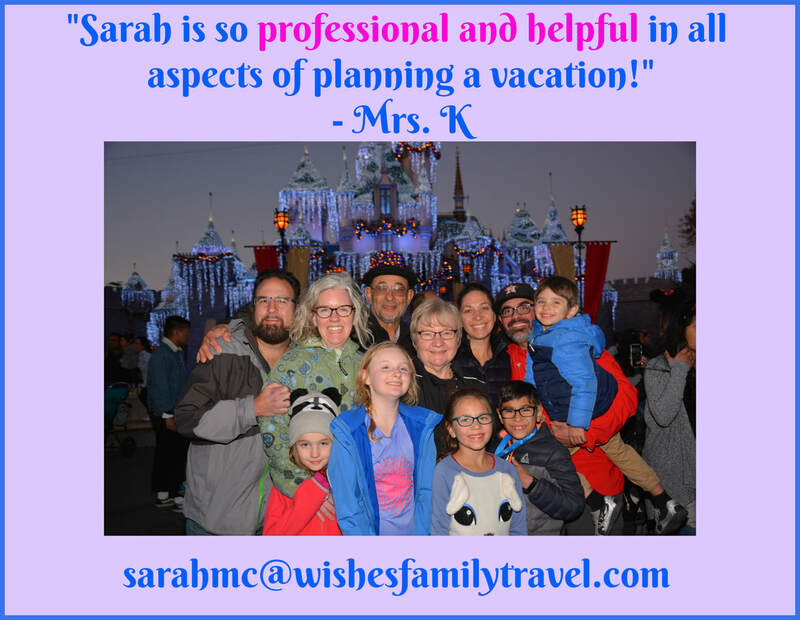 Thank you, thank you, Sarah McClure and Wishes Family Travel for the best vacation ever!! 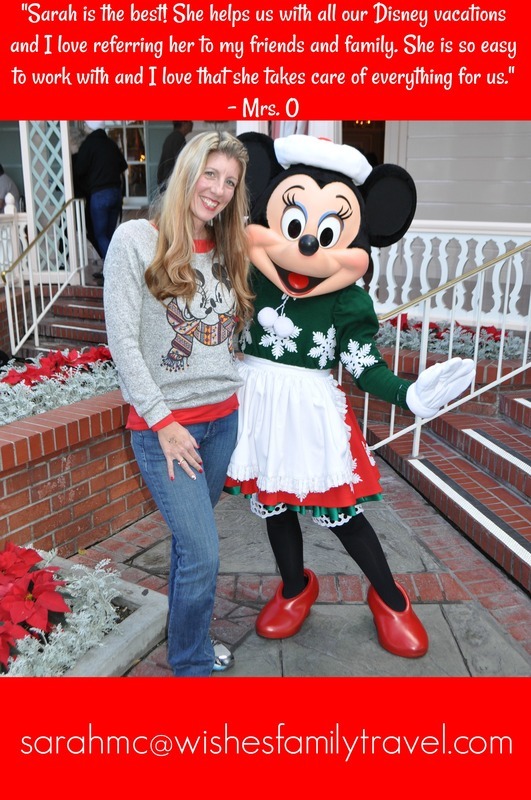 Disneyland Park at Christmas time was absolutely magical. You could feel it in the air, the smiles on people's faces, were just amazing. Our family spent 4 days there recently for the holiday season and had an amazing time. 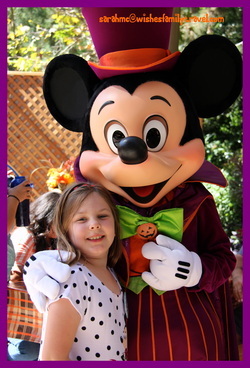 The characters are on every corner of the park at various times and posing for photos with the guests. They were dressed in holiday attire and holiday music played all throughout the park. It even snowed on the castle as it was lit up for the night!! It was just beautiful. The Christmas decorations were up all over the park and in California Adventure. 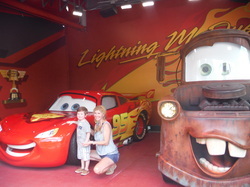 Radiator Springs was a dream come true for my husband, not to mention my 7 year old. The staff were the friendliest people and were so fun to talk to. They had all sorts of wonderful stories and inside scoop about Disneyland and the history, which I loved! The fireworks show was spectacular along with the World of Color and Fantasmic! I could go on all day! I loved how Sarah took care of EVERYTHING!! Even the things I never would have thought of. 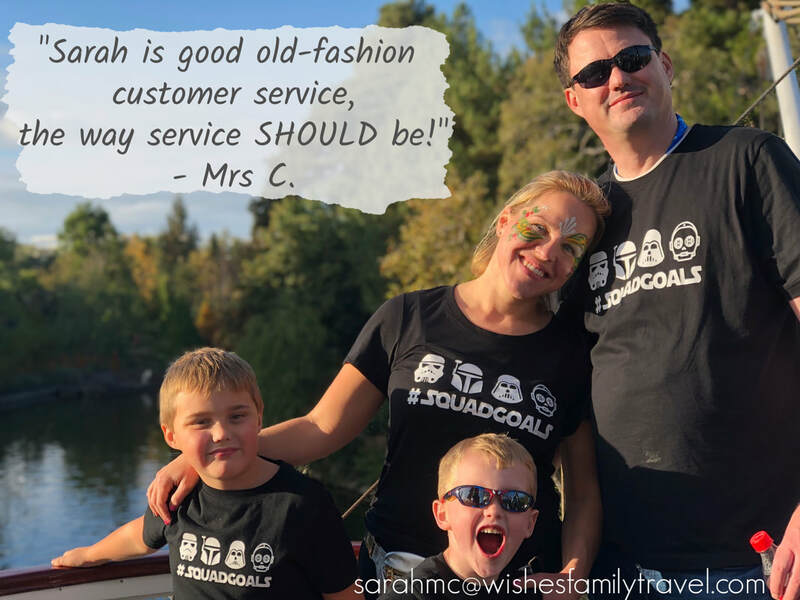 Wishes Family Travel showed so many little personal touches that made our trip so much better and made me much more relaxed. They know Disney, Sarah knows and loves Disney!! We just showed up and had the time of our lives without any worries.